Life in Wonderland: Are You Ready For Some Football? I am married to a sports fanatic who would swear that his life couldn't get any better now that football season has begun. I thought it would be fun to come up with some ideas for a football-themed party now that the new season has officially been kicked off. I grew up in Wisconsin and have been a Packers fan ever since. However now that I'm in Georgia, I feel compelled to support the home team as well. 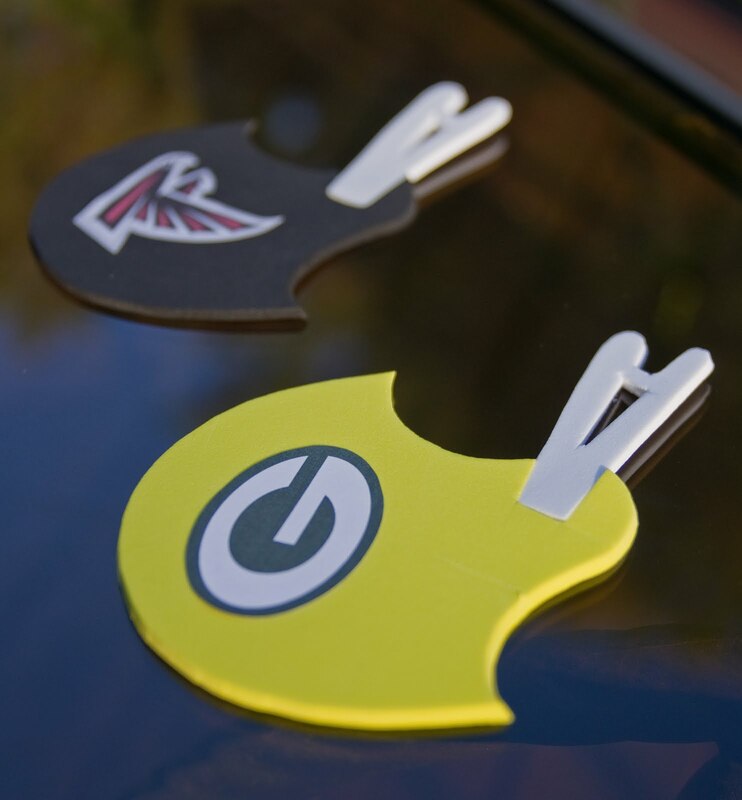 I created these drink coasters by cutting out a helmet shape in craft foam paper and adding the team logo - super easy to make! Since it is the start of the football season, a lot of stores are carrying football-themed products for a limited time. I found these incredibly cute bottles of soda that are shaped like footballs at Walmart for $1. 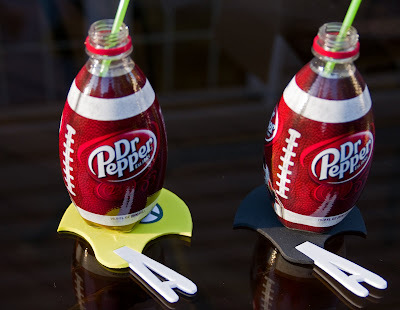 These adorable bottles are reason enough to host a football party! Also during my shopping trip to Walmart I stumbled upon football shaped brownies...happiness! Apparently this product is only sold for a few months, so hurry and get some soon. 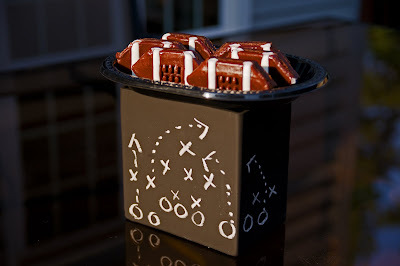 For the stand, I covered a glass vase with chalkboard spray paint and then drew a football play on the "chalkboard". 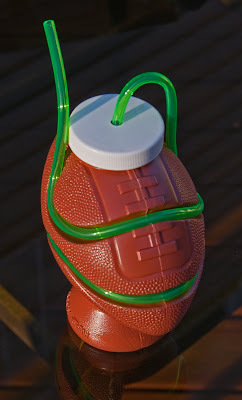 I found this cool drink cup a few years ago at Party City and fell in love with it because it looks kind of crazy. 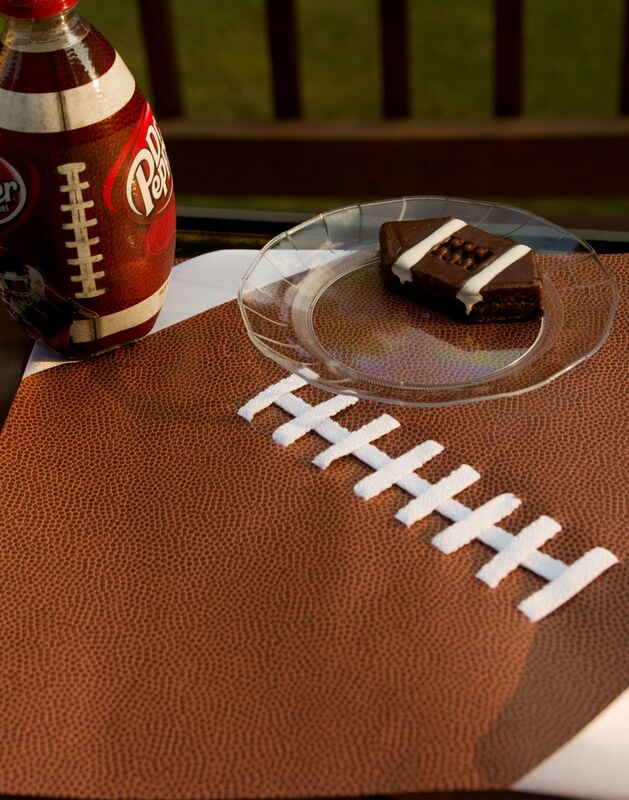 This would be a great favor for a great football party. 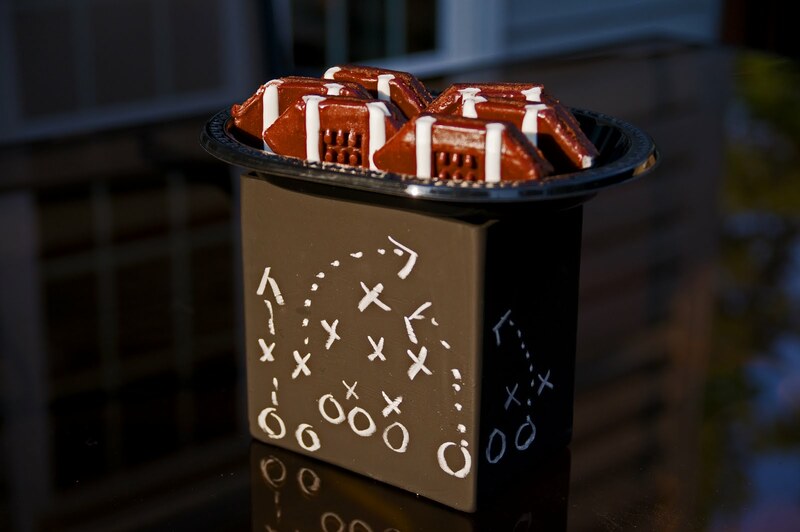 Hope these ideas are helpful for your next pigskin party! Hey there! I linked over to you through CPN and landed on this post while browsing your blog. I'm already planning a kids pre-game party for the superbowl this year and I think your chalkboard game play will have to be adapted. 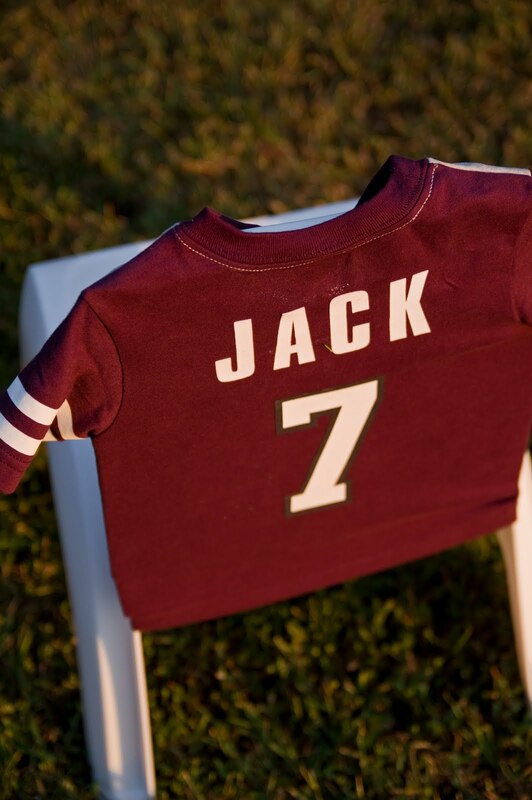 What a great idea and thanks so much for the inspiration!